NTA has set a new deadline to the telecom service providers to clear the dues, otherwise, they will cancel the license. NTA decides to provide the time till the month of Ashad for clearing out all the dues. If the telcos are unable to pay the amount within Ashad, they will face the cancellation of their license. Smart Telecom, UTL, and Nepal Satellite (Hello mobile) have a huge amount to pay to NTA. NTA board on Monday come up with such decision to provide some time for the payment. Acting Chairman Mr. Purushottam Khanal says, “The operators failing to pay the pending fees will have their license canceled as per the rule”. Telecom service providers like Smart Telecom, United Telecom (UTL), and Nepal Satellite have some amount to pay to NTA. Out of the six telecom companies, three of them have such pending fees. As per NTA, the uncleared dues is worth around 3 billion rupees. The Telecommunication Act has it that NTA can provide some grace period for clearing dues. Based on which, NTA decides on the matter. Parliament’s Finance committee had also directed NTA to ask to pay the fees within 1 month or face the cancellation. NTA had also forwarded the same directives to the telecom companies in the form of an official letter. For which, the telcos replied for their inability to pay the amount within that time. They cited reasons like inability to increase the investment, procedural delay in foreign investment (soon to realize) among others. Finance committee had also recommended not to approve their further growth in terms of raising funds or providing more facilities to those telecom companies. They even asked to cancel their license if they are unable to clear the dues within that period. Among the service providers, Smart Telecom has the highest of all with worth of Rs 1.37 billion remaining dues. The amount has been accumulated as they have not been able to pay frequency fees from 2 years and renewal fee of Rs 500 million. Second, up in the list is United Telecom aka UTL. They had not paid any frequency fees from FY 2066/67. The amount in that section only is Rs 465 million, including the penalty for delay. Although the Government had let them pay the royalty fees in installment basis, it is not yet clear. The renewal fee of Rs 100 million (10 crores) is still pending with UTL. Similarly, UTL has to clear the penalty of Rs 5 lakh for not expanding their services as per their plan mentioned to get a unified license. 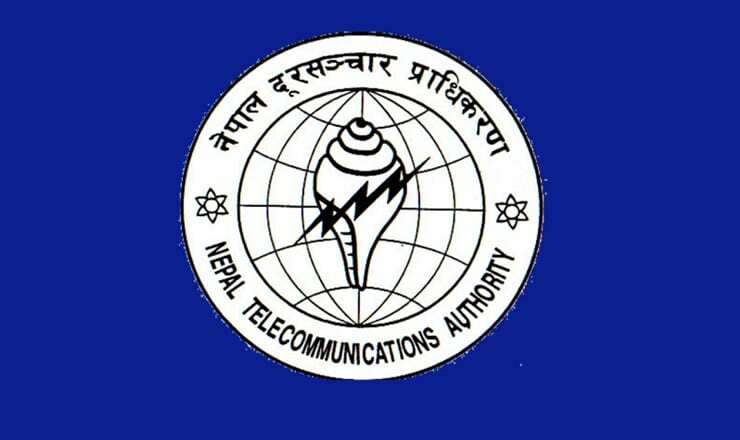 Third Telecom service providers with huge pending amount are Nepal Satellite Telecom. It operates under Hello Mobile brand. They have a pending amount of Rs 715 million to pay to NTA in the name of frequency fees. As there is a penalty for not paying the dues in time, the amount is increased from Rs 522 million. They had not paid any frequency fees from FY 2066/67. The late fees or penalty applies according to the Spectrum Policy (Distribution and Pricing), 2069. In which, 2 percent of late fees apply to the annual frequency fees if the telcos fail to pay within six months after the fiscal year.